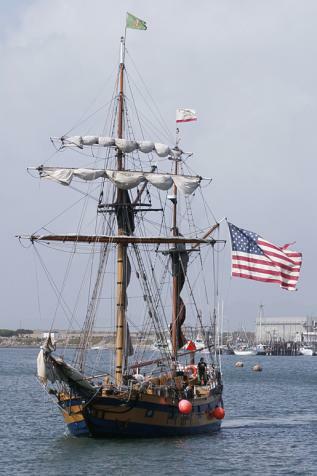 The least we can do is to share photos of the magnificent tall ships, Hawaiian Chieftain and SV Lady Washington , as they dock in Morro Bay Harbor. Our graphic design studio in San Luis Obispo is under full sail here in our 24th year. Our expertise lies in digital techniques that result in high quality ready-to-print digital files. Combined with a real-world sense of how to get things done the most efficient way possible, clients get a one-stop resource for their graphic design projects. We cater to individual client design needs, both big and small (yes, projects and clients alike). 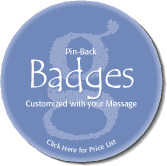 Looking for our Pin-Back Badges or Buttons? Graphics by Erick is available on a project-by-project basis or as your “in-house” design team. We’re glad to assist at any point, with as much or as little help as you require. Please feel free to share your thoughts and let us know how we can be of assistance.